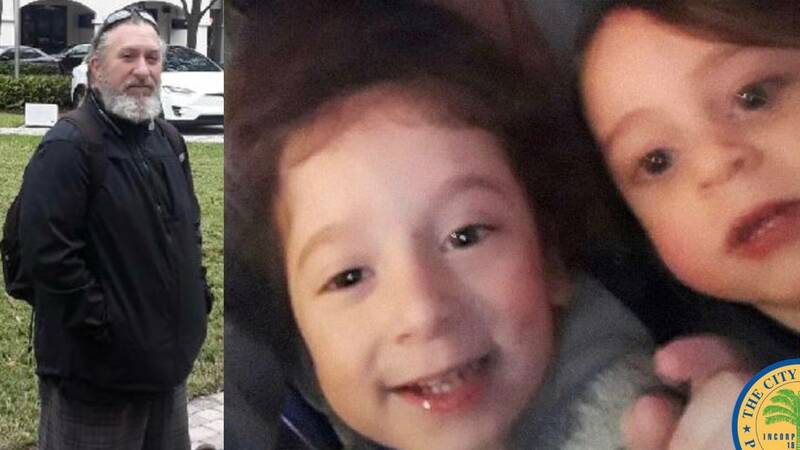 MIAMI - City of Miami police are asking for the public's help in finding a man who abducted his two sons Friday. Zak Gotay fled from his Miami home with his boys, ages 4 and 2, sometime in the afternoon. The boys, named Zakaria and Collins, along with Zak Gotay, have not been seen despite a police search of the area near the 400 block of N.E. 37th Street. Gotay was last seen wearing a black jacket, black shirt and black plaid pants. He also has long salt-and-pepper-colored dreadlocks. The boys are both wearing gray dinosaur-print shirts and diapers. Anyone with knowledge of Gotay's whereabouts or his sons are urged to call 9-1-1 or the City of Miami Police at 305-603-6300.